Well, maybe I can sneak by with middle-aged Mother Hubbard. I’m going to my cupboard and not for a bone but for non-perishables to help feed the hungry. The Annual Harvest for the Hungry is my excuse to go through my cupboard, clean it out and turn the goodies over to families who need it. 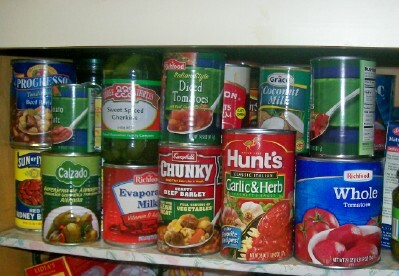 Good items like soups the husband picked up that he never ate, canned veggies, fruits, tuna and beans of all colors – I’m non discriminatory.